So, a proper trailer Doctor Who: Series 11 Trailer #2 has been released and it does look incredibly CINEMATIC as an early clarion call for Jodie Whittaker’s debut has finally delivered some of the excitement and action sequences we have been crying out for months. 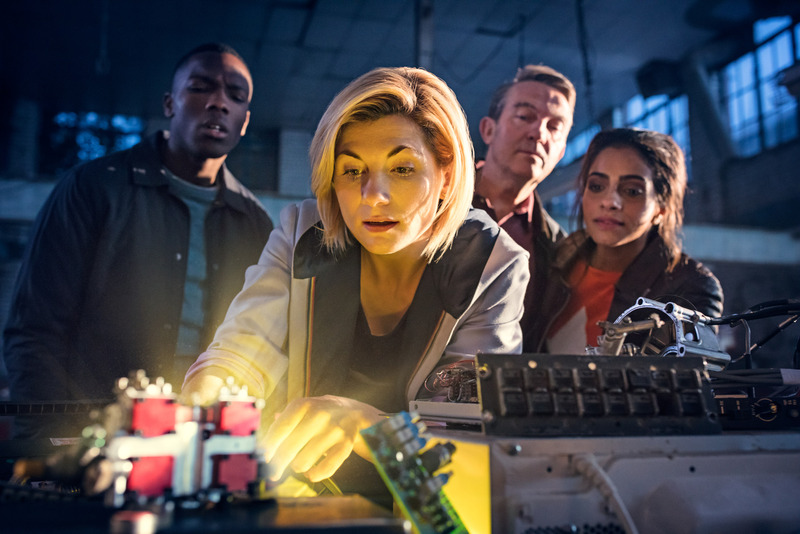 I hope all the secrecy around the new series is worth it and we are blown away by series 11. Macklemore’s ‘Glorious’ continued to set the sentiment with its lyrics of ‘a new attitude and a new lease of life’ which I liked. It looks grand, expensive, colourful and whilst you can’t really get a sense of Jodie’s Doctor or the companions it promises much… despite continuing the ‘It’s about time ‘motto which I can’t deny worries me. “It’s about time” that I discuss it. So this statement emerged from the oddly toned little 30-second trailer Doctor Who: Series 11 | Release Date Trailer that dropped down a few days ago and was a strange video game style of visuals, which left me annoyed. The trailer didn’t reveal much of the coming series which is okay, considering the secrecy this whole series has been shrouded in but, and this was what annoyed me, concentrated a bit too much on a rather self-satisfied declaration, which I felt wasn’t really needed, with the “Its about time “motto. Presumably, this was meant to have an initial meaning highlighting the time travel element of the programme. I didn’t realise that the phrase had also been used for the promotion of the eighth doctor movie. But with the image of the shattered glass, Jodie saying ‘Whoops’ it was also showing how it is ‘breaking the glass ceiling’. Breaking the glass ceiling refers to the unseen, yet unbreachable barrier that keeps women and minorities from rising to the upper rungs of the corporate ladder. I understood it but the tone left me feeling slightly confused. Isn’t using that imagery and the wording “It’s about time” just allow the programme to shout a little too loudly its credentials about how politically correct and progressive the show is now? There does seem to have been a conscious effort recently to show they are breaking completely from the past but I believe the tone used is too dictatorial against its audience. I was intrigued by the wording of a statement from former Doctor Who Executive Producer and current BBC Drama Controller Piers Wenger “Gone is the daffiness and idiosyncrasy of her predecessors in favour of a Doctor with energy, spark and relatability” The wording seemed crass, a bit of a disrespectful gesture to the loyal fans who have loved previous doctors and a little dismissive what went before. I think there is something very ingrained about the longevity of the character because of his eccentric nature that I can only wish will not be completely lost as Jodie plays the role. So, my question is just who is the production team trying to score points against? Some of the fans who don’t like the idea of a female doctor? Previous production teams classic and new who kept the male status quo? Commercial channels? A trailer is meant to show off the best of the programme so just let it speak for itself in writing, performance and visuals, without trying to score points for itself in a self-conscious way. I don’t need Chris Chibnall to educate me via my favourite programme that women have been treated differently whether in the media, the workplace or in private life. I already know we live in a patriarchal society where power structures are dominated by men. A trailer isn’t the right platform for a discussion like this. It has been well documented in history as far back as Aristotle. Aristotle argued in classical times only those with speech and reason could be included in political life and women were excluded from the sphere due to a perceived lack of rationality. The influential scientist Charles Darwin, in the late 19th century, compared the size of female and male skulls and bodies and made assumptions with ‘the greater size and strength of man’ and how women were ‘conscious of their beauty’ as somewhat superficial softer creatures. This enabled him to erroneously confirm why keeping women at home producing children was a valid course for all women. Today women have multiple roles as mothers, wives, and carers which are usually unpaid additions to paid work and their lives are ever more complex to understand. When Moffat set the model by changing the Master to a woman I suppose becoming a woman felt like a gimmick which he exploited. 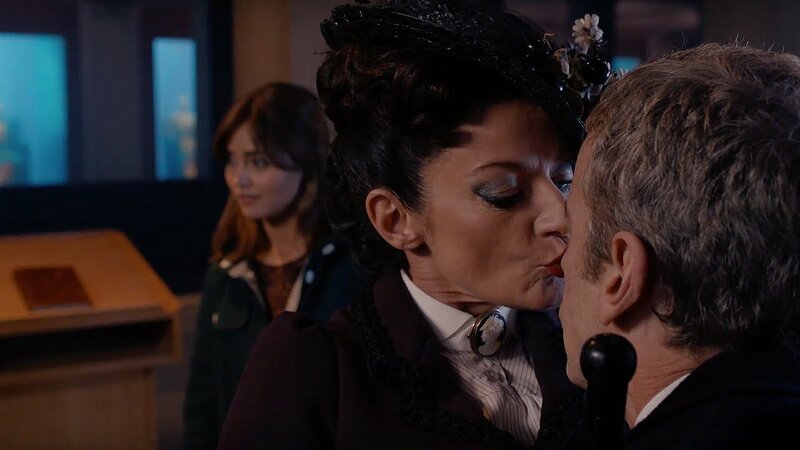 When the Master was written as a coquettish female in series 8 after a long-established presentation as a male I found it uncomfortable viewing at times especially when there was that flirty kind of interaction with the Doctor being almost assaulted when kissed by Missy. The subject felt clumsily handled but perhaps it is easier to understand and accept these changes happening to a villain rather than a hero as villains are allowed by their nature, a certain licence to be as outlandish as they can be aren’t they? Jacqueline Pearce’s Servalan from Blakes 7 is a case in point as a kind of anti-hero. She was a multi-layered character, devious as a rattlesnake, and you still had a sneaking admiration for her as she plotted to be the ultimate leader using whatever means possible including her sexuality. It worked for her because she was a larger than life character. I do believe in women’s’ rights but I’ve never felt that Doctor Who ‘was the type of programme that ‘needed’ to follow those movements for equality in the lead role. Joanna Lumley didn’t bring anything special to her portrayal of the Doctor in ‘ The Curse of Fatal Death’ and from what I remember ran off with the Master. So when the news broke that the next Doctor was going to be a female about a year ago now I have to honest I felt a real pang of disappointment because I felt the programme was pandering to some kind of misplaced social pressure. I have nothing against Jodie Whittaker, she may be a very good actress and I do feel a sense of anticipation to see what she brings. I’ve thought about it though and as a female, I can say categorically that I am not a misogynist because I have disagreed that a woman should play the Doctor. My reasoning is I think it’s about who we grow up with as ‘heroes’. For me, the character of the Doctor that I have loved since age 13 has been a male hero, pure and simple. It’s not misogyny to expect your heroes not to change gender. Yes, I know the Doctor is an alien and it’s different apparently. Yes, I know it’s not stated anywhere Timelords can’t change gender but making the doctor now a woman has changed that fundamental rock that I have held to as a fan. It has required a readjust to my own expectations because it is monumental. I do have female heroes I look up too. 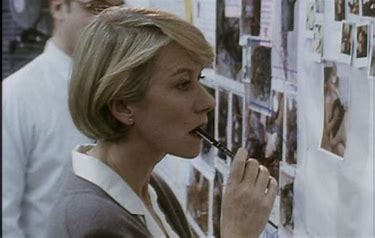 I go to Helen Mirren as Jane Tennison in Prime Suspect or Gill Gascoigne as DI Maggie Forbes in The Gentle Touch. Now, Jane Tennison, there was a woman! She was a Detective Chief Inspector https://youtu.be/XUZTDDbQiBA fighting every step against indifference and judgement and somehow surviving the prejudices of a male-dominated profession. Maggie Forbes in The Gentle Touch was a widowed detective Inspector and the series covered social issues and her struggles working in a male-dominated field but also her home life balance trying to raise her son. Jane Tennison was a character who grew and changed over 16 years as did Maggie Forbes. Doctor Who is a different beast. The history of the show has not had that many stories which are a social or political commentary which then has an impact on the central character. Doctor Who is about the fun and adventure of travelling and the Doctor walks away after each adventure. The Doctor is a moral character and the show pits our ‘hero’ against baddies of various types but it’s a very loose commentary of good and evil not usually requiring some kind of transformation by the end. 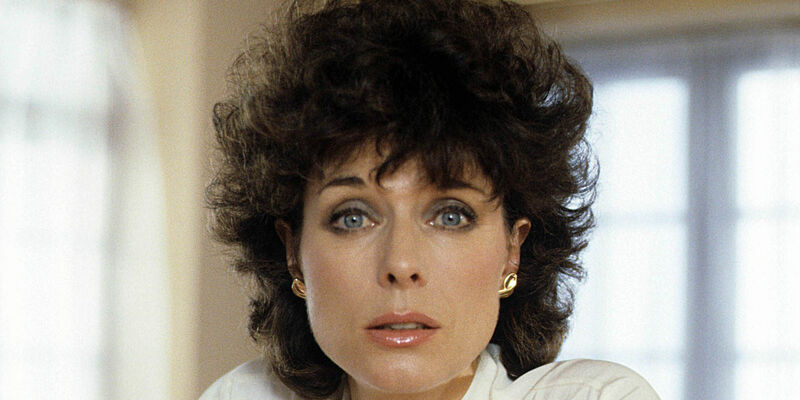 Her character was a single mother to a teenage son, juggling family life with her career after the murder of her husband in the show’s first episode. The irony is when I go online and read the anxieties of fans the one common thing is they say is it doesn’t matter if it’s a woman as long the Doctor stays the same essential character. If that’s the case why bother changing to a female at all? Is it just change for change’s sake. Taking on the mantle of a showrunner isn’t a job for the timid and now that the baton has been passed on to Chris Chibnall we will have to see if he can pull off this huge gamble, new doctor, new gender, new companions. Its early days and these are unchartered waters, and hopefully interesting times ahead. There is definitely a Peter Davison vibe to the new series making a bold statement similar to the change from Tom Baker in Classic Who. I said in my article last year that I wouldn’t have been surprised if the series moved away from its traditional slot and lo and behold the programme is finding a home on Sundays which means one day less for the usual weekend internet explosion from fans and for me reading it all with a cup of tea on a lazy Sunday morning at my pc. I’ll miss doing that. Monday morning catch-up on my phone on the way to work won’t be quite the same. There are rumours of an over-reaching arch. Of course, if the series is going for one connected story then there may be a long-term character arch for the Doctor where we will go on a very different journey with her then previously. Can it, will it truly be the same character, my Doctor I ask myself? I’m not sold on Jodie’s accent yet which I hope softens slightly but I will certainly be watching her with huge interest.